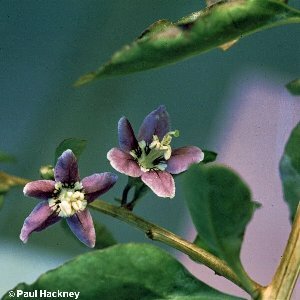 A scrambling deciduous shrub, often spiny, with oval or elliptical leaves and small purple flowers with yellow stamens. It is particularly frequent around the coast where it is found in hedges, normally close to a house. It is an introduction from China. 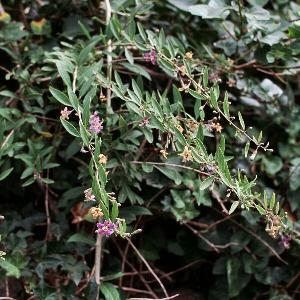 Two species (Lycium barbarum and L. chinense) are grouped together here - they are not easily separated, and it is doubtful if they are really specifically distinct.